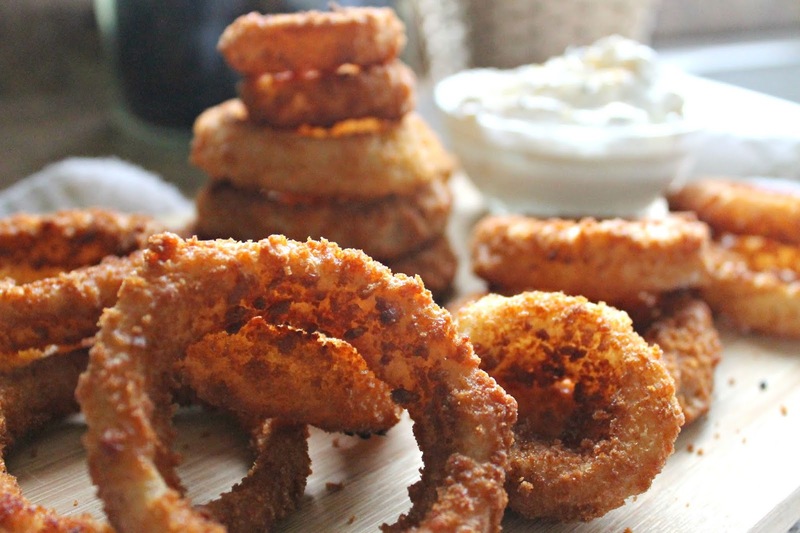 You probably already had a glimpse of these delicious Onion Rings I talked about over on my Instagram earlier this week. 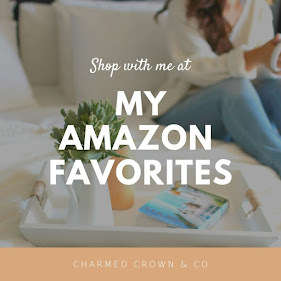 If you haven't well I suggest you head over and see what all the buzz is about with all the pairings you can have with Alexia frozen foods. This is not a sponsored post, I decided that this dip just paired very well with these delicious onion rings. 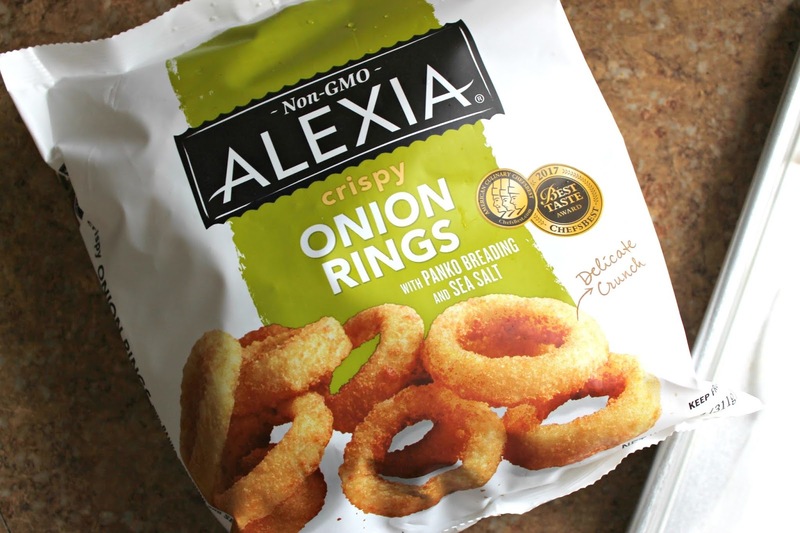 These Alexia onion rings are so good and so easy to make by just popping them in the oven that I decided to create a delicious 3-Step Bagel Seasoning dip for them. Because why not. 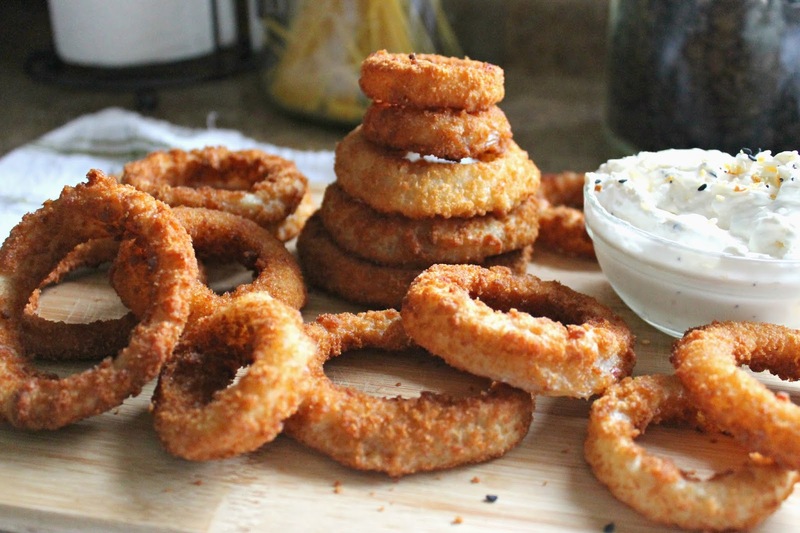 These onion rings are so versatile when it comes to serving them either as an appetizer, snack, or side for any main dish. Therefore they needed a side kick to make them shine bright enough to dip and eat. 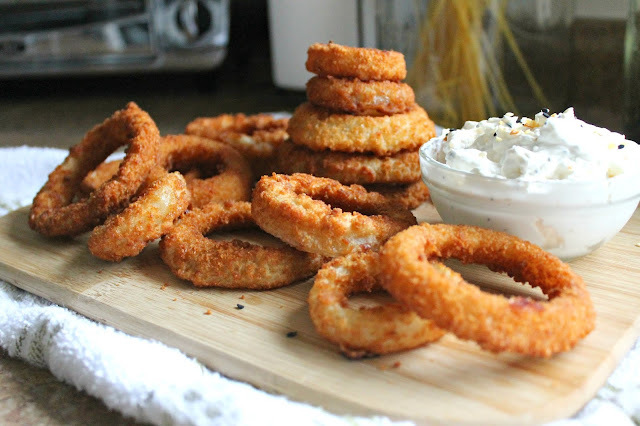 These onion rings are not only deliciously crispy and we just can't get enough of them once we get started especially the husband, they are not a must buy whenever we go grocery shopping. They're a little tricky to find, depending on where you shop, so make sure to look up your grocery retailer. I have to say I even prefer the baked version over the fried version served at restaurants. Much healthier and better for you too. 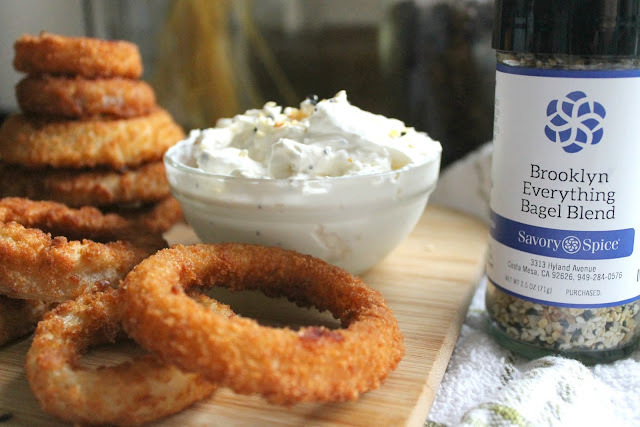 I had been looking for an excuse to make this Bagel Seasoning Dip for a while now, and this was it! My friends over at Savory Spice Shop, who also happen to have a shop very near me, carry the best spices for just about everything and so much more! They're the friendliest too, so I couldn't help but share about them. So why don't we get to the easy recipe, shall we. Like I said, 3-Step, which means only three ingredients, is all you need. Of course you want to eye ball it and taste as you go and make it to your preference. Add as much more or less of either of the ingredients to make it just right and to your liking for dipping purposes. Mix, mix, and mix well, and just sprinkle the top of your dip with a bit more of Everything Bagel Blend seasoning for serving. Make this delicious appetizer, snack or side dish and this delicious dip this weekend! You want to try it, trust me.